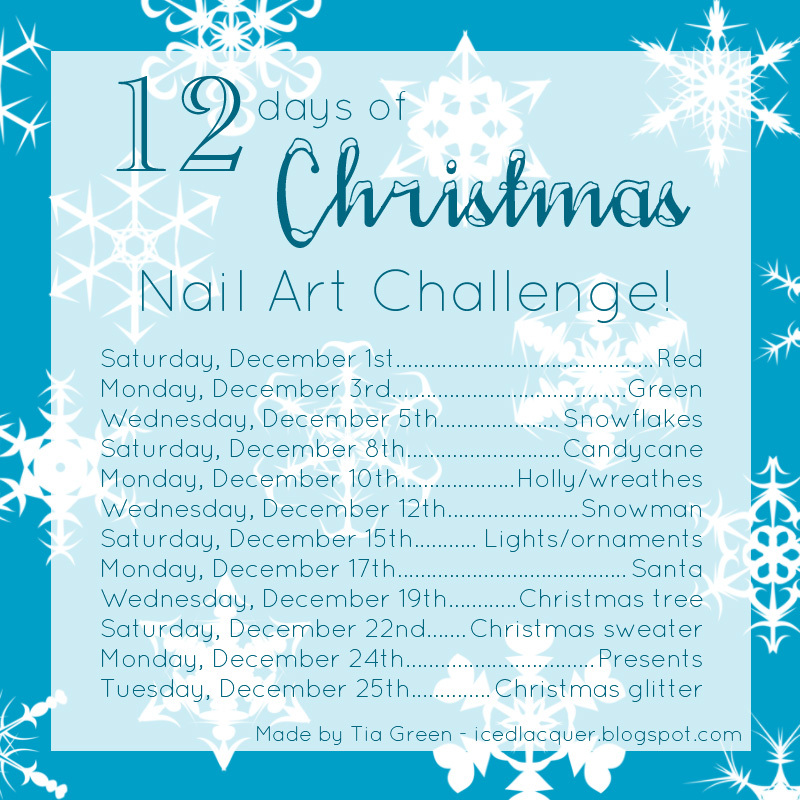 12 Days of Christmas Challenge Day Three: Snowflakes! Yay! I was looking forward to this one! It hardly ever snows in Portland, so I have to wear my snowflakes on my fingers! Here are some other bloggers participating! 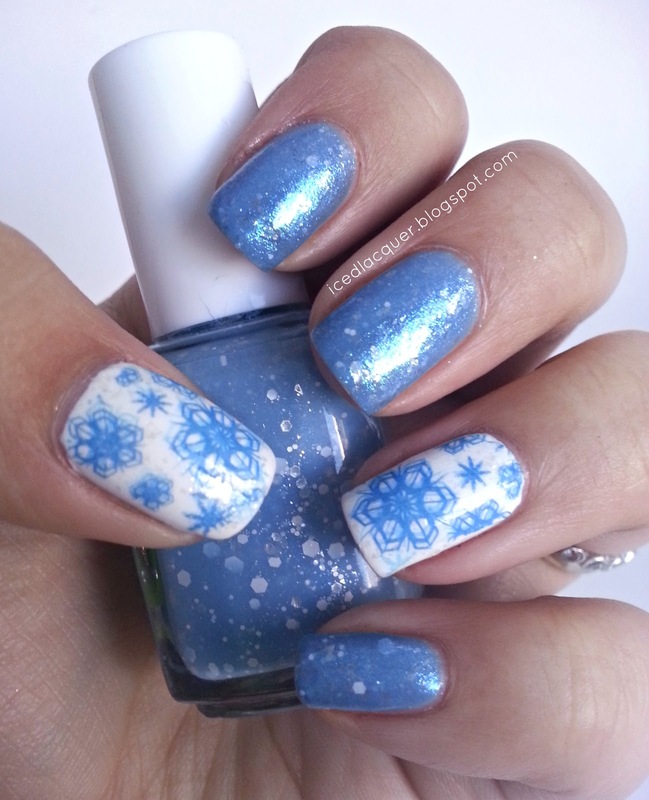 Polishes used: My franken, Sally Hansen "Blue Frosting", Sally Hansen "Glass Slipper", Sally Hansen "White On," and Essie "Mesmerize." 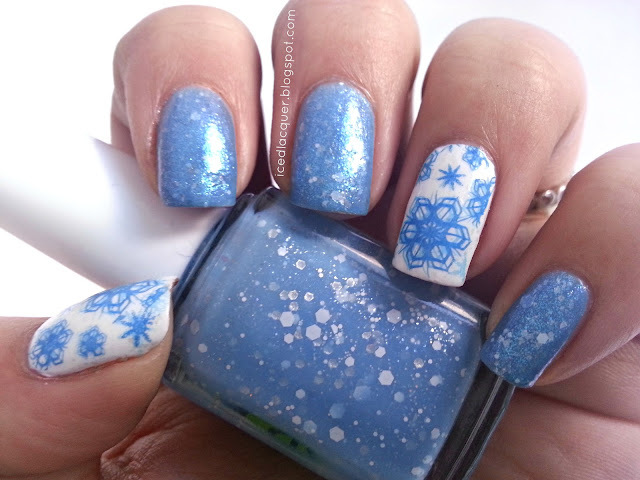 I added some extra sparkle by layering the Blue Frosting over my franken and the Glass Slipper over the white before I stamped. I like how my franken turned out, but I just wish more of the glitter would have made it onto the nail. I'm not a polish maker (yet! ;D) so I don't know all the tricks, but at least I don't have bleeding or taco-ing glitter! Haha - I thought the dual stamp was on purpose! I like it - give it a nice dimension. :) The franken looks sweet too.